Record Store Day is an annual day where bands release special versions of their recordings to help support the independent record store. It started as a US event but has quickly expanded worldwide, and it has also expanded to include a second, smaller event titled RSD – Black Friday, held in November each year during the American Thanksgiving week. U2 has participated in both events in the past, and this year we’ve been tipped off they will be appearing again. According to a number of sources, the 2018 list for Black Friday releases has gone out to independent record stores to allow them to order, and orders are due by the end of the week. 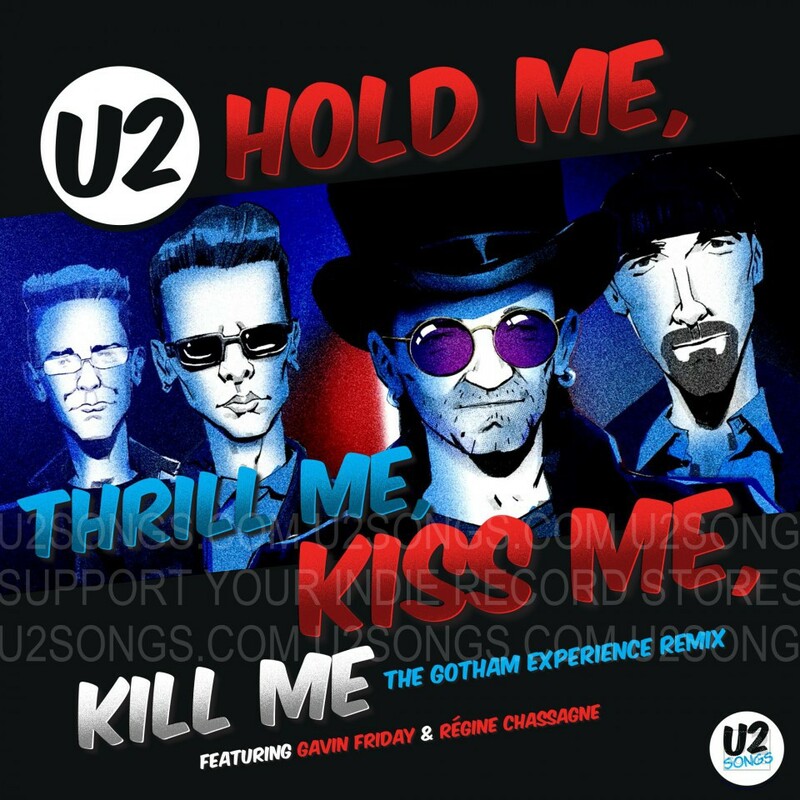 U2 has been confirmed to be on the list, and the title is now confirmed to be a new 2018 recording of “Hold Me, Thrill Me, Kiss Me, Kill Me.” The release is being credited to U2, however it is mentioned that the release features Gavin Friday and Régine Chassagne on vocals. The song was remixed by St Francis Hotel, a group that has worked with U2 on a number of past releases. The record will be limited and it is being said that the pressing will be 7000 copies in total. That is the same number of copies that were made available for the 2017 single, “Red Hill Mining Town.” The full RSD – Black Friday 2018 list was announced on October 9, 2018, and items are already appearing on eBay, don’t panic at the prices though, these will come down on the day that the vinyl is actually released, and most stores will sell the item for close to the suggested price. The B-Side is the original version of the song, recorded for “Batman Forever” and recently polished up for the newly remastered release of The Best of 1990 – 2000 on vinyl. It sounds like we are getting the version that is being used in the tour, but the song is also being listed as a U2 release, so this may be an alternate version of what is being used in the live shows. It does confirm that Gavin Friday and Régine Chassagne who perform vocals on the track, and both have been featured on vocals on the version used during the Experience and Innocence shows. The listing for this release on the Record Store Day site is available here. The vinyl is listed as a RSD-First release which means the release will appear at Record Store Day events first but may have a wider release after the fact. We expect that the release will be announced formally in an announcement tomorrow via the Record Store Day site. We will of course report on the full details of the release when available. As releases are limited, independent stores in North America have been asked not to sell these records online for the first week that they are available. However, in some European markets, they have been made available in advance. We will also report on these if any opportunities to buy online are known. Many thanks to Lance, Edgar, Tom and Kevin and others for information used in the report above. The History Mix: Black Friday and Record Store Day: A look at U2’s participation in Record Store Day up until 2016 including details on individual releases. Lights of Home: Confirmation of the April 2018 Release and a FAQ Dealing with Record Store Day. 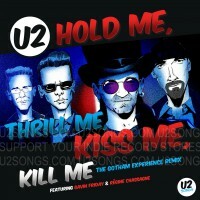 Original Hold Me, Thrill Me, Kiss Me, Kill Me discography listing. New 2018 Hold Me, Thrill Me, Kiss Me, Kill Me discography listing.